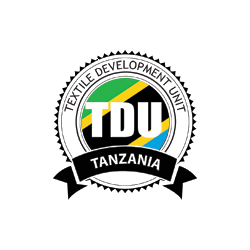 In response to the growing demand for quality garments and the huge potential of the Tanzania textile sector, the government has established the Textile Development Unit (TDU) within the ministry of Industry and Trade to provide support to investors throughout investment process. In 2012, approximately 350,000 metric tons of seed cotton was produced in Tanzania, nearly 80% of which was exported unprocessed, demonstrating a significantly under-exploited potential in value-added products including yarn, fabrics, and garments. The newly released guide from the TDU provides investors with information on how to establish a business in Tanzania as well as important information on the advantages of investing in the growing textile sector and available incentives and guarantees. An emerging middle class in Tanzania and across many Eastern and Southern African countries has created a demand within the domestic market for quality knitted fabrics and garments. Tanzania’s regional advantage as a member of both the East African Community (EAC) and the Southern African Development Community (SADC) regional blocs positions the country to take advantage of this growing demand.